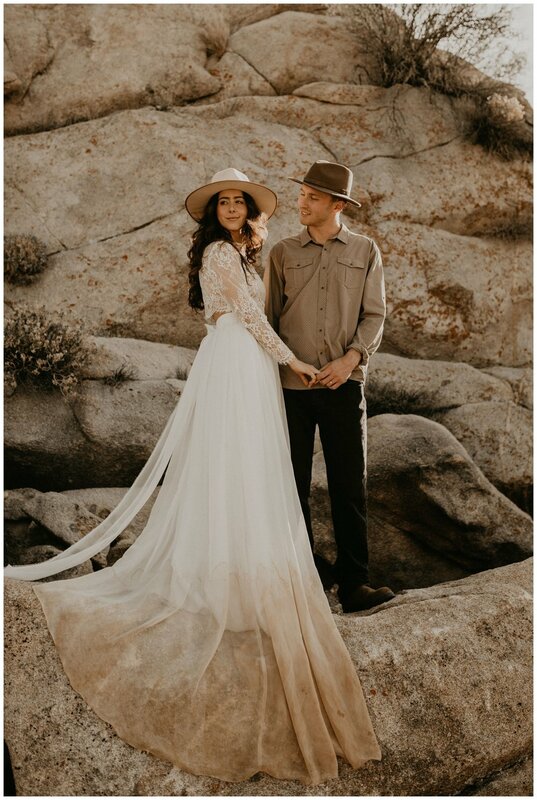 Allie + Weston had the most beautiful styled desert sunset bridal session at The Ruin Venue in Joshua Tree. They are the sweetest humans!!! 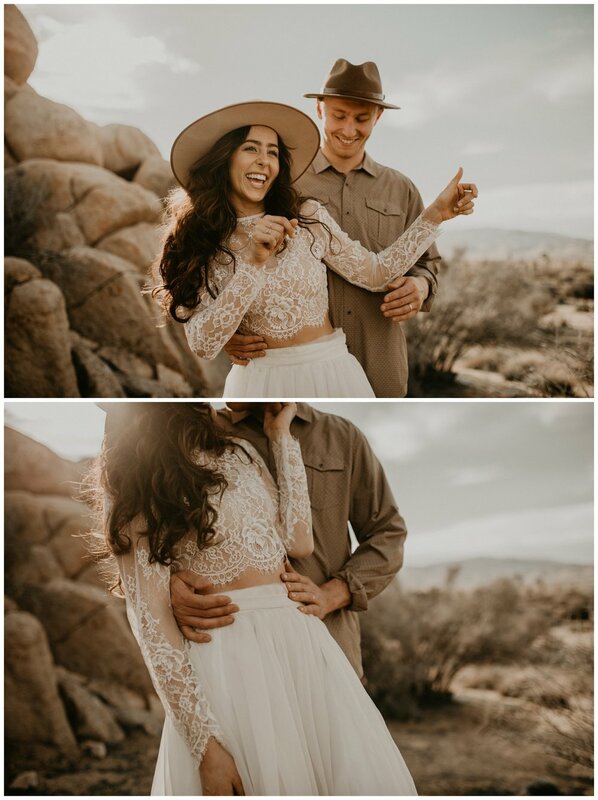 We had the bestttt time ever frolicking around in the desert. 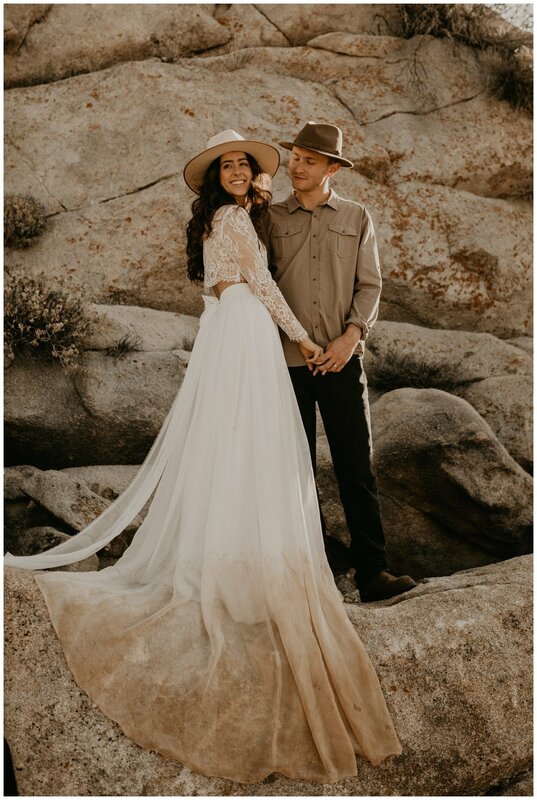 Allie wore a beautiful dip dyed two piece lace & tule wedding dress by Sweet Caroline Styles and Weston wore one of his favorite rad button up! This venue is one of my absolute favorites. Rock formations, open desert & Joshua trees surround you. There are beautiful ruins (hence the name, The Ruin Venue), an open air geometric structure & market lights to make this place sparkle at night! Huge shoutout to the girls at The Experience Workshop for putting together this incredible shoot! Get in touch + stay connected!